If you are stuck in a gift wrapping runt, I'm here to help. 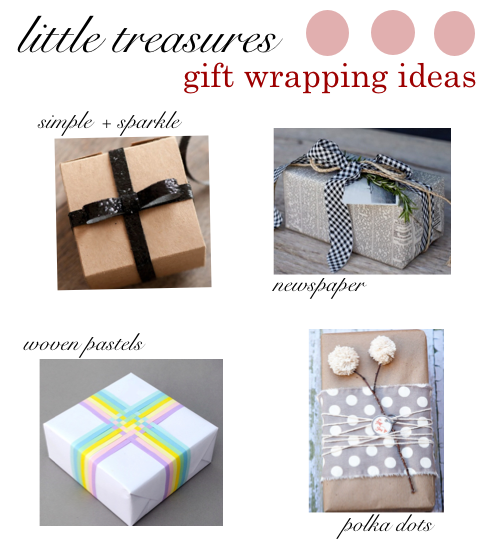 This week's Little Treasures are inspiration to help your wrapping. Christmas is in four days, and it's crunch time for wrapping presents. This holiday season, I've been loving simpler wrapped presents (like the ones below). Let me know your techniques and favorite wrapping "styles".